At ABC Dentistry for Children, we treat your child the way we want our children treated. All children deserve to feel safe and loved, and our pediatric dentists want to make sure that your child grows up with beautiful, healthy teeth. If you’re searching for a kids dentist in the Gilbert, Queen Creek or Mesa area, you can count on our friendly team to provide the comforting, fun, educational setting that will ensure a long, healthy life for their smile. With child-friendly equipment and bright décor, ABC Dentistry for Children provides dentistry for children with a friendly, welcoming experience complete with toys and games to help distract your child before, during, and after the process. This helps them have a positive dental experience making it easier down the road to practice preventative dental care. We strive to make your kid’s dental visit a positive experience so you can rest easy knowing they will enjoy coming every time. If your kid’s first dentist is a positive experience—which our specialized team of pediatric dentists can provide—you can rest easy knowing that they will continue to make sure they have the best teeth possible! 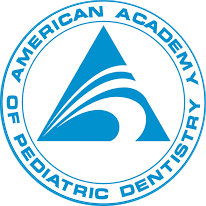 We’ve been selected as a Top Pediatric Dentist since 2003—something we take great honor in. So if you need our Arizona pediatric dentistry services, why not request an appointment? You can reach us at (480) 558-1400. We have the top pediatric DDS (Doctor of Dental Surgery) dentists, who have an extra two years of post-doctoral training ensuring that we can provide the best quality oral health care for your children and teenagers. They Make Going to the Dentists Painless! Always a great experience! We’ve been taking my son there for the last 10+ years. The staff is always friendly and engaging. Cleanings are quick and they explain everything they’re doing to him before they do it. They make going to the dentists painless! Thanks! My sons have been going to ABC for several years. The staff are always friendly and welcoming. The dentists are always thorough and very understanding of the fears my youngest has when visiting the dentist. The office has a wonderful family feel and very comfortable for anyone that enters. I took my son to ABC dentistry when he was 13 months old and fell and broke his front tooth. They comforted a scared new mom and capped his tooth. We have been going there ever since. That 13 month old is now almost 18 and does not want to be an adult and go to another dentist. I recommend ABC Dentistry for Children to all my friends and family. They are amazing. The staff is helpful, friendly, and easy to work with. We now have twin boys who have been seen there every 6 months for the last two years as well. I can’t speak highly enough about ABC Dentistry for Children!! It's easy to see one of our dentists!